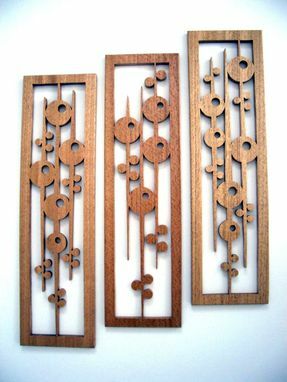 Striped Mahogany Fretwork Grouping "Olives On Sticks"
This fretwork grouping is a great addition to modern-themed homes and offices. It is made of striped mahogany. 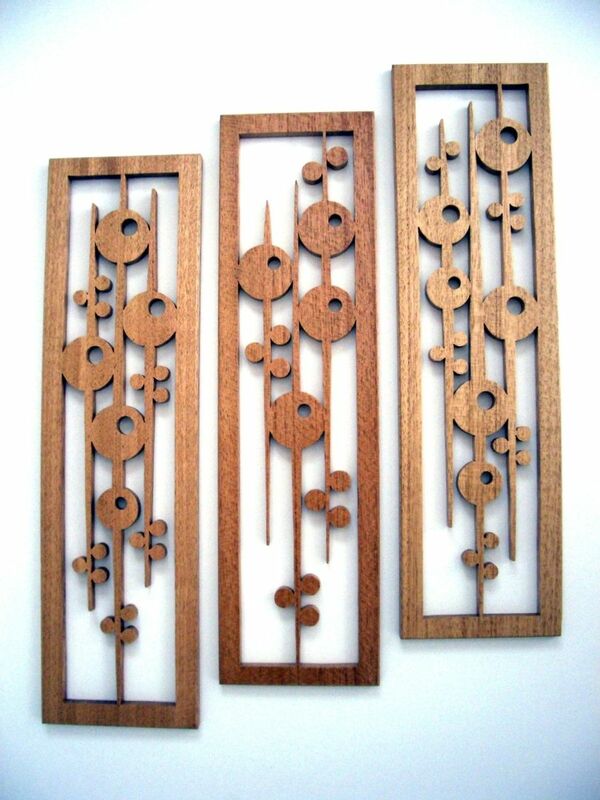 Each fretwork measures 20''x5 1/2'' and is 1/2'' thick. A bracket is attached on the back of each piece for mounting on your wall. The fretwork has a clear coating for protection from elements.